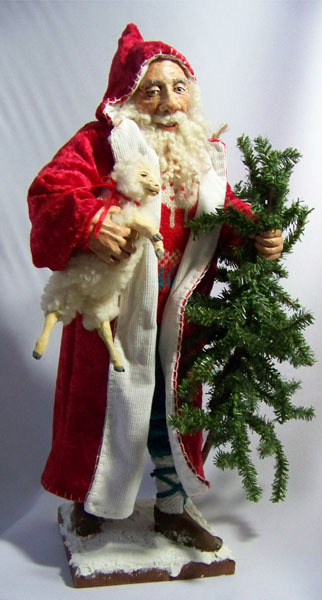 Hand Sculpted Santa with custom made sheep and clothing. Perfect for holiday home decorations. Hand Sculpted Santa with custom made sheep and clothing. Perfect for holiday home decorations.